I am thankful for YOU. 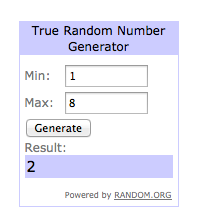 A recipe and a giveaway. – ugly food tastes better. I know I owe you a lot, dear readers. I am working hard on my new clothing line, and I have all of my focus there. But in celebration of my 200th post, and the upcoming holiday, I wanted to share something with you. I was lucky enough to get a copy of Robin Robertson’s newest cookbook, one-dish vegan AND a copy to give to one of you. Robin’s 30 Days of Vegan Cooking campaign is currently live on her blog and she’s sharing one recipe from the revised edition of her Vegan Planet cookbook each day in November to promote World Vegan Month. Even though I personally eat all the things, I was vegan for a stint and really enjoy finding new ways to incorporate more vegetables and new ingredients and proteins in to my diet. This is a GREAT book to begin with. Just check out this gorgeous Jamaican-Style Coconut Rice Bowl! You can enter to win a copy simply by commenting what healthy food choice you would like to adopt or learn more about this holiday season, and your email address. Entries will be accepted until noon on Wednesday the 27th, and winners will be chosen at random and announced the same day. Although there are many variations of this traditional dish throughout the Caribbean, it’s a special favorite in Jamaica, where the “peas” used are actually red kidney beans. 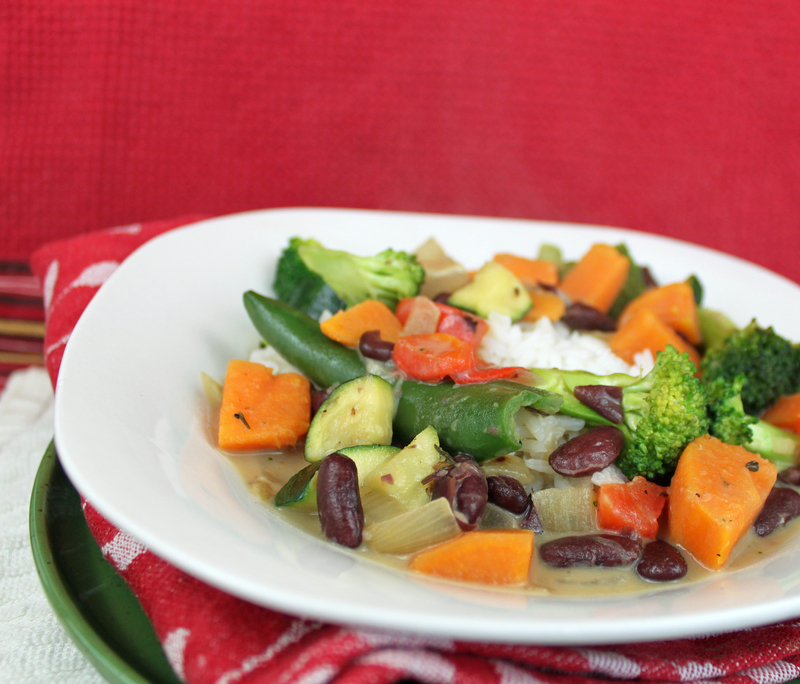 Coconut milk and chile peppers add richness and heat to this tasty and nutritious version, which can be ready in minutes if you use cooked rice and canned beans. Accompany with a salad or green vegetable. 1. Heat the oil or water in a large pot over medium heat. Add the onion, potato, bell pepper, garlic, and chile, and sauté for 5 minutes to soften. Add the thyme, broccoli, zucchini, and coconut milk, stirring to combine, then stir in the beans and season to taste with salt and pepper. Cover and cook over medium-low heat, stirring occasionally, until the vegetables are tender, 12 to 15 minutes. 2. Taste and adjust the seasonings if needed. Serve over the rice in shallow bowls with a squeeze of lime, if desired. That’s it. Seriously. That’s all you have to do to have yourself a healthy dinner. I think the best part of this book is that it is all one pot wonders that are easily customizable with holiday leftovers and great to make large amounts to have for ready made meals during the busy season. I for one, am super grateful that this came in to my life when it did! We all end up eating so much at Thanksgiving, it is nice to have options for something much lighter and better for you. In addition to this glorious dish, my favorite from the book so far, I am looking forward to making the Senegalese red lentil soup, Potato salad with avocado dressing, Nigerian black-eyed peas and greens, Devil’s food chili, and fusilli with creamy veg sauce. The only thing this book is missing is dessert! 12.27.13 Update! There is a WINNER! And that winner is Miss Courtney Selby! Congratulations and an extra happy Thanksgiving to YOU!!!! Email me your address at kitchen@uglyfoodtastesbetter.com and I shall send your copy on over! Can’t wait to hear about what you make! It was awesome to hear about everyone’s plans to be healthier, I will be posting a ton more healthy recipes from this book and others over the holidays, so stay tuned! wuld lik to learn about sautayed mice. in a nice healthi olib oil. i’m working on more pickling and canning this winter, but what i really want to do is find ways to make kale so delicious that my better half will eat it! i need to try to eat more in season. I’m always looking for some new veggie ideas to add to my recipe box! Congrats on your 2000 post! Sauces. I want to master sauces. And, by the way, go you! Well, I’m not sure about vegan, but I have totally gone on the no wheat diet which I have to give big kudos to although going minus beer for Oktoberfest is bad, bad, bad!!! That’s where the wheat hold-out gets shaky! To be fair- as I learn more about what is healthy eating, I think eating more vegan is good –just can’t give up a good piece of red meat on a Friday!